I did this challenge and loved it. It was just a little different. Sometimes different is good. 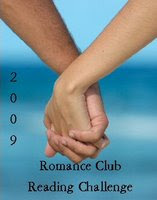 One challenge I did this year was to read five romance books. I think I did it in six weeks. LOL This one will make me think and try new authors.